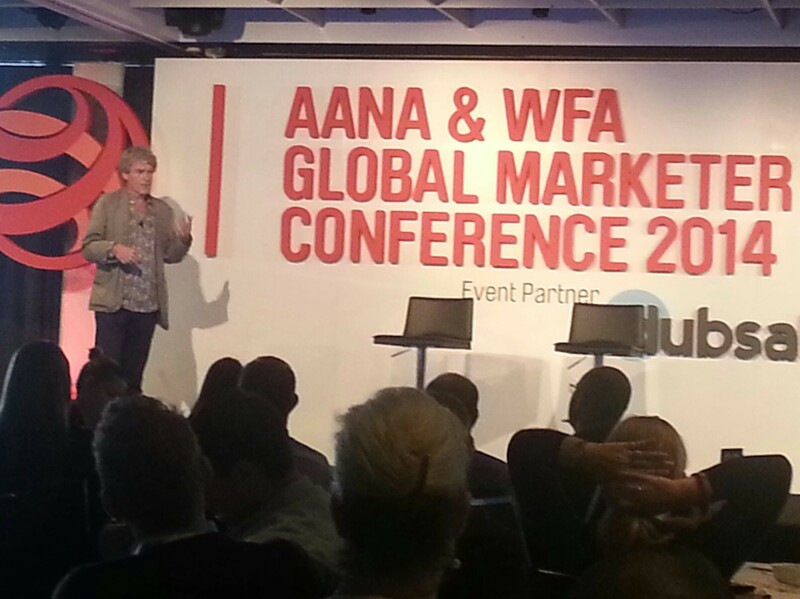 Last week I attended the Global Marketer Conference in Sydney hosted by the Australian Advertising Network of Australia (AANA). The event was attended by marketers from all over the world. A cocktail party with views of the Sydney Opera House and Harbour Bridge kicked off the event in style. But, the global line up of speakers was what everyone came for, this included Marc Mathieu from Unilever, Michael Birkin of Acer computers, James Thompson of Diageo Reserve, Michelle Froah of Kimberly-Clark, John Kearon of Brainjuicer, Ed Sanders of Google, Colin Currie of Adidas and British advertising legend Sir John Hegarty of Bartle Bogel Hegarty (BBH). Like at all events, there is always so much going on and lots to take in. Looking back at my notebook the scribbles resemble something you would find at a kindergarten. Luckily the insights were memorable making it is easy to document. The underlining theme of the event was to remember we’re marketing to ‘humans’ not consumers. This point was repeatedly mentioned by the speakers one-way or another. Making human beings the ‘hero’ (central focus) of products is a big focus. And personalisation should not be just for the rich and famous. James Thompson from Diageo Reserve mentioned that users are looking for meaning from mass produced products. Online content is one way brands are making this personal connection with clients. Having a purpose other than monetary was another big talking point at the conference. Purpose motivates human behaviour. Marc Mathieu from Unilever said ‘A brand without a purpose is just a billboard’. Unilever’s Dove soap helps women feel more self-confident and empowered in much the same way Lynx’s deodorant does for men. In Lynx’s latest TV commercial, the brand is encouraging peace not war. Behavioural science was another area discussed. John Kearon from market research company BrainJuicer challenged our thinking that humans don’t actually put a lot of thought in to our decision making. In reality, we think less then we think. In time sensitive situations we are more inclined to revert to our instincts (unconscious behaviour) and use our left-side of the brain. Framing – no decision made out of context. Luxury car makers sell more cars at boat shows because cars seem cheap compared with boats. Copying – we copy everything/ everyone (herd mentality). E-commerce websites do this very well with ‘recommended buys’. Feeling – if people feel nothing, they will do nothing. The importance of brands having a purpose. It’s important to make people feel something. Broadcast – branding is remembered by the person who doesn’t buy your product. Risk – forget the word, it should be exciting. Consistency – avoid changing the message. Tell the truth – self explanatory. Passionate – believe in the product.